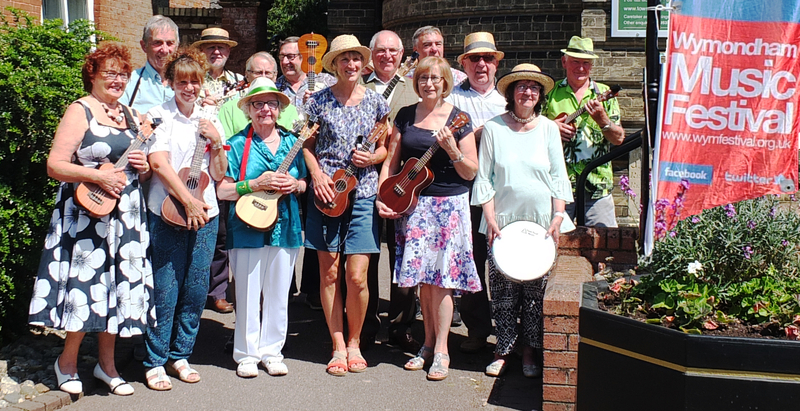 Aloha from all of us at Wymondham Ukulele Group! We get together on a weekly basis for fun sessions with our ukuleles. All abilities are very welcome from absolute beginners to accomplished players - there's something for everyone. Please come along and join in! Would you like us to play for your event or group? See what we've been playing.